I’m a fan of good guacamole. Not the processed, sloppy, remnants of the flu like guacamole you find at the supermarkets, but the fresh, zingy, pack-a-taste-punch stuff. 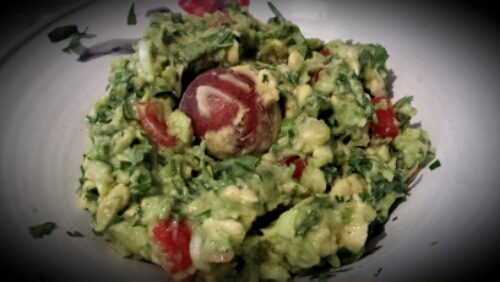 Completely, totally, wholly guacamole. Half to a whole jalapeño chilli. 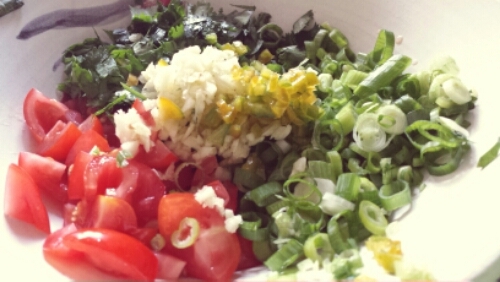 Chop up the the onions, coriander, tomatoes, chilli and garlic very finely. Chop up the avocados until they’re slightly mashed but chunky at the same time, then add in the chopped ingredients and mix through. Season with salt and pepper and squeeze in the juice from one of the limes (or lemons). Give it a taste. Add more lime juice/seasoning as needed. 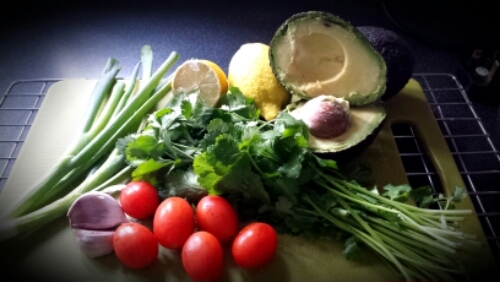 Put the avocado stones back into the guacamole to prevent it discolouring, cover and refrigerate until ready to serve.